A U.S. Forest Service crew of firefighters from Juneau are working on containing a 56-acre fire in Berner’s Bay, north of the city. The Antler Fire started on May 31 at approximately 1 p.m. and the cause is under investigation. More firefighters are being dispatched from Juneau and Hoonah to assist in containing the fire. 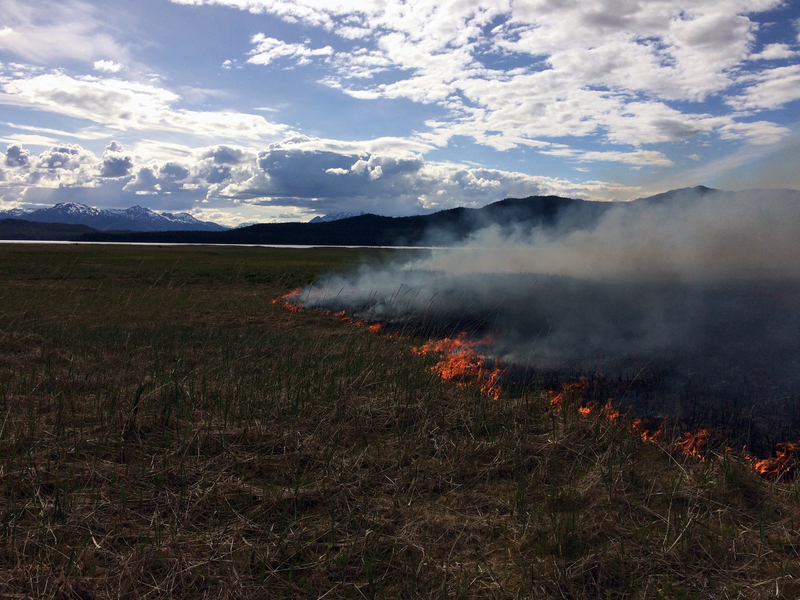 The fire is burning in a tidal flat area and does not pose an imminent threat to any persons or structures at this time. For more information, contact the Tongass Public Affairs Officer at 907-228-6201 or paulrobbins@fs.fed.us.